ADEDistribution has just unveiled their new A&R program. 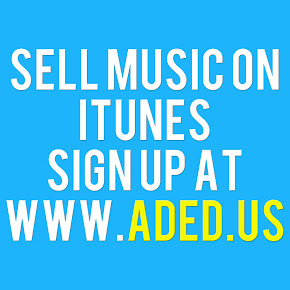 In case you've been living under a rock for the past few months, ADEDistribution is a digital distribution company that specializes in helping independent artists (also referred to as indie musicians) to get their music placed on digital retail sites like iTunes, Amazon, and Google Play. Their new A&R program is interesting in the fact that it's probably the first of it's kind. ADEDistribution is essentially offering anyone the opportunity to make money in the music business, even if they aren't musicians themselves. The new A&R Program pays it's A&Rs (recruiters) $3 for every musician they bring in that signs up for Package A (Premium Subscriber). The artist signing up with an official A&R recruiter promo code will also save $3 off of their first release, essentially making the first release free. In a market where word of mouth is key, such a move on ADEDistribution's part could only benefit them. Many indie artists can't help but to feel left out of an industry that only supports it's own and sites like ADEDistribution have popped up to answer the call. Many artists in certain genres striving to gain recognition in the music world such as dubstep, breakbeat, and chiptune music have flocked to ADEDistribution for this very reason. The service and low initial start-up costs as compared to the other unattentive giants such as TuneCore, CDBaby, and Songcast reveal ADEDistribution to be the biggest competitor and the best option in the field of independent digital distribution.